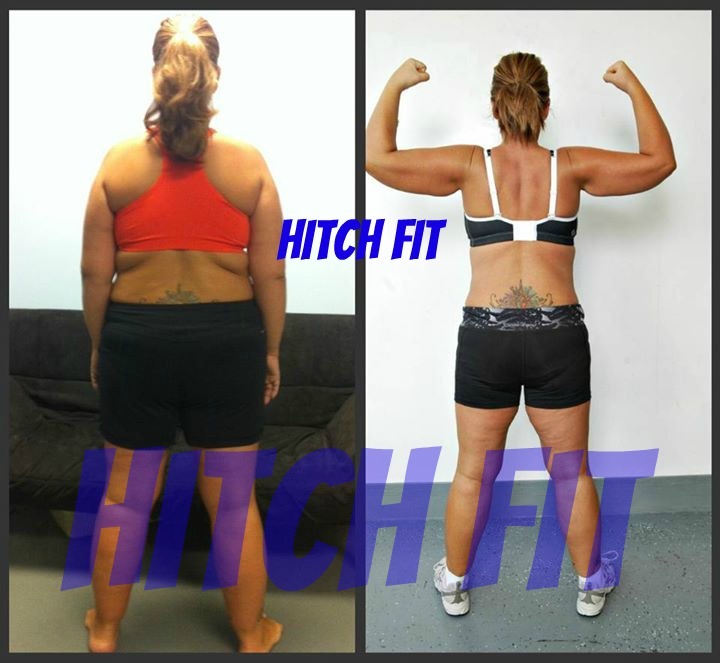 Kansas City Mother of 3 Sheds 17% Body Fat with Hitch Fit Personal Training! 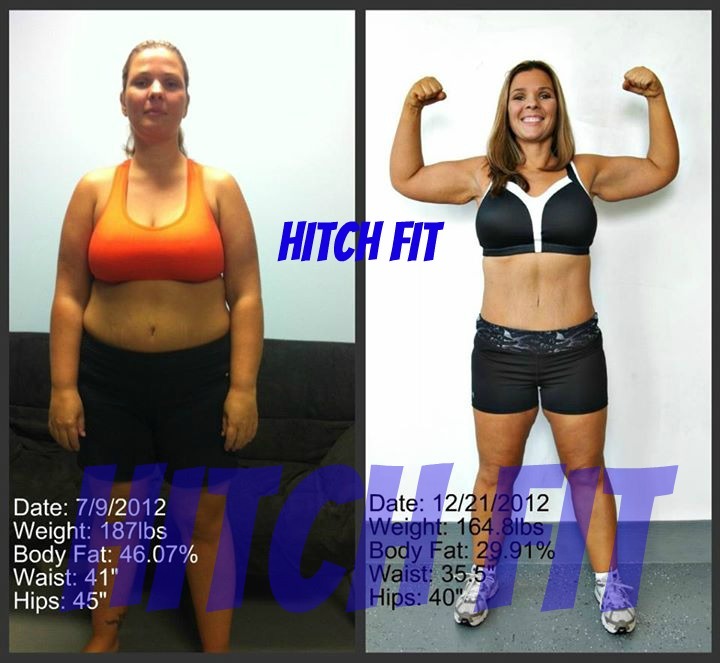 Home/Success Stories/Kansas City Mother of 3 Sheds 17% Body Fat with Hitch Fit Personal Training! Hitch Fit Gym TRANSFORMATION! 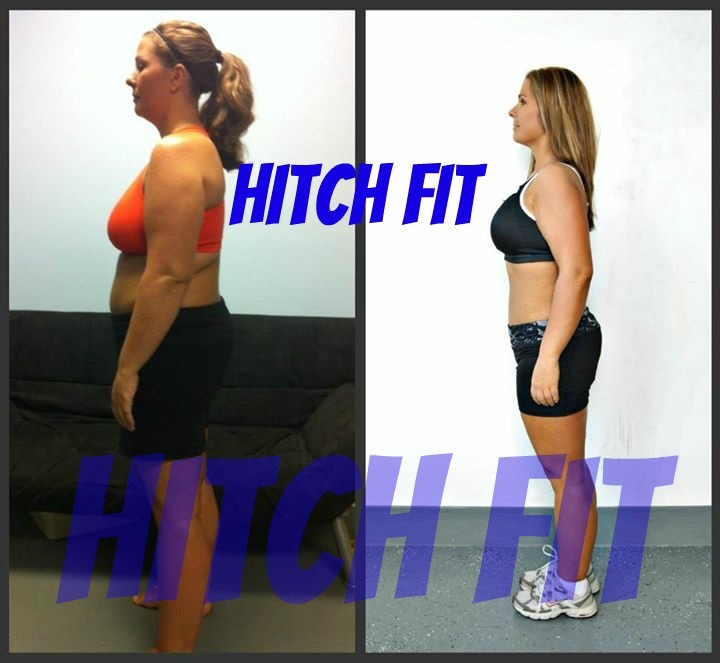 Kansas City Mother of 3 Sheds 17% Body Fat with Hitch Fit Personal Training! Colleen is a Mother of 3 who shed 17% body fat with Hitch Fit one on one personal training! “When I asked my Hitch Fit trainer Josh, “What should I say?” he told me this was my story so tell whatever I’d like. So here it goes. I was pretty active in high school but even back then at 145 pounds kids would say I was fat. I look at pictures of me back then and think, “WOW what were they talking about?” Kids are cruel to each other and even some adults that have never grown up can be the same way. After school my weight slowly started to increase I tried all the fad diets & even did pen fen at one point. After having my second child in 2002 I was the heaviest I’d ever been at 278 pounds, I had high blood pressure & absolutely no energy to keep up with 2 kids 22 months apart. After 6 months of tests, Dr visits & every other trial they put you through I had gastric bypass surgery. I know what you’re thinking because I’ve heard it before “she took the easy way out”. Let me be the first to tell you that it’s NOT the easy way to do things. They don’t teach you how to eat right, what’s healthy & keep up with you on this journey. Yes, you have follow up visits BUT as long as you’re losing weight you can lie about everything else. NO I didn’t take my vitamins, NO I didn’t work out. The weight was coming off on its own why should I? 120 pounds lost & 3 years later I was severely anemic & had to have 2 iron infusions. Now you think that the weight loss made me have all the confidence in the world now BUT no, NOW I had all this saggy skin to deal with & let me tell you, it’s a downer. So in 2006 I met my new husband & treated myself to a tummy tuck & breast augmentation. NOW I felt pretty good! I weighed 155 pounds when I met Matt & by the time we married in 2009 I weighed 165, so here we go again creeping up on me. In January of 2010 we found out we were having a baby! A long, very sad & emotional story later we ended up having 3 miscarriages & several surgeries, add some Clomid to the mix & BOOM on November 11, 2011 our handsome little (8lbs 12ounce) baby Dominic blessed our lives. When I got pregnant with Dominic I weighed 183 pounds, I gained 24 pounds with him, you do the math this wasn’t where I wanted to be after all I’d been through & money spent to lose weight. Well what a shocker when after the first month I had lost ALL my baby weight, but by the time I went back to work I was back up to 189 pounds. That was in February 2012 , in June I was at a wedding that my husband was in & needless to say was in a lot of pictures. I thought I looked pretty good in my dress that I had picked for that night, but when the bride started posting her wedding pictures on facebook I about died! Was THAT chunky girl me?? My girlfriends tried to make me feel better by telling me “oh that dress just isn’t flattering to you”. PICTURES don’t lie people! I’d had enough; my husband had been telling me about some of the other officers that had gone through this personal training at HitchFit. I had even seen an old school friend David Kellgrens after pictures. So we called & set up a consult for the next week on July 9th, that’s when I met my trainer Josh. Those of you who don’t know me let me give you a little idea of my personality. I don’t take crap from anyone & if I have something to say then I’m going to say it. Well when Josh was telling me about the program & then told me I couldn’t drink alcohol, I teased him & said “so I can’t call you & cancel my workout because of a hangover”? He looked me dead on & said “I will fire you”. He’s the kind of person I needed to get myself back on track people. Oh my husband could have helped me with the workout part yes but as I used to tell him “HE has to live with me”. I started my training that week, I about died when he said 46% bodyfat!! The meal plan was hard for me (remember I had gastric bypass) so eating that much food was difficult. We talked about it & would adjust where needed. He was always available if I had questions or just needed encouragement. My favorite was not too long ago, I had the worst cold & I sent him a text that said “I’m at the gym & I’m NOT happy about it”! His response was ” these are the times that separate you from everyone else not transforming I’m proud & impressed”! Wow that gave my ego a boost. This was a life change for me, food prepping, weighing & measuring everything takes time. I have a 9 month old baby when I started this. They say it takes a village to raise a child but let me tell you it took a village to help me through this transformation. Thanks first to my best friend/husband for all the chicken you grilled for me, all the times you kept the baby after working all night so I could make it to the gym & for always making me feel like a candy bar at a weight watchers convention. Thanks to my mother for all the times you came over after working all night to watch the baby so I could do early workouts on weigh in days. To my Mother in Law for all the times she kept the baby longer than originally planned. To my other 2 children for dealing with eating chicken & salad for 6 months straight because mom just couldn’t cook spaghetti & pizza right now. Finally to Josh, thank you for being hard on me when I need it & encouraging me to make my goals a reality. You are the best!”. Hitch Fit One on One TRANSFORMATION TRAINING now available at two great locations!